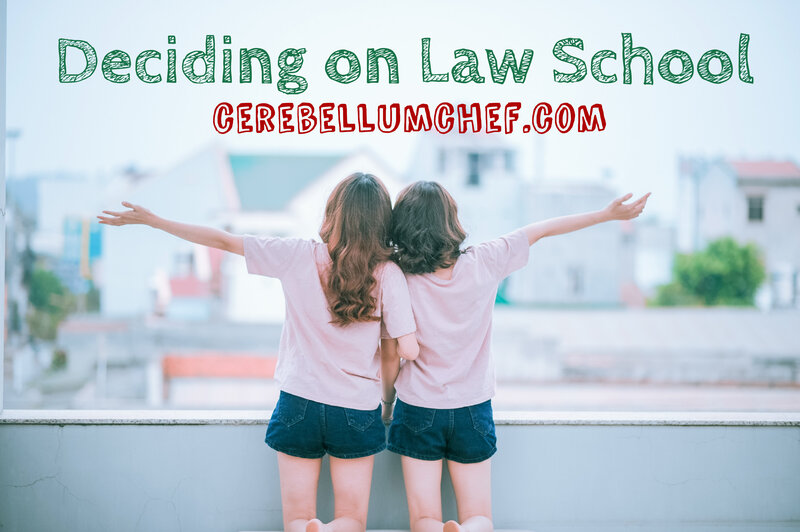 Choosing to attend law school is a monumental decision. I’d say deciding to apply, putting yourself through an LSAT exam (and all the crap that entails), applying to multiple programs (if you’re a bit more Type-A, like myself), and impatiently waiting on acceptance/rejection letters (then ugly-snot-crying your way through reading them) takes a whole heap of effort. Therefore, your want/need/desire to attend law school is enough of a motivator to push you through the doors of any legal institution. Your answer to this question will not define you. In fact, how your answer changes throughout your legal education and career is what guides your course. In my first year of law school, I learned both areas of law I am certain I will not likely pursue, and others that make my soul sing. My peers have changed their minds numerous times, as have I. The law is trial and error, truly. This means you have the opportunity to change your mind along the way. What you feel passionate about today, may change tomorrow. It is so important to understand this notion. You grow and change, every single day. Your reason for attending law school does not have to stand up to your classmates’ stories. You’re going to feel the need to one-up your peers when you (trust me, it’ll happen) ask them why they chose law school. Here’s a secret – you don’t have to have a reason at all! Your answer can be as simple as: It was my next step. There need not be a “why” or any qualifying statement further. Choose why you want to go – and then make it happen. I thought I knew why I wanted to attend law school but, once I was accepted and had to make a choice on which one to attend, I realized my reason for attending needed to be about me, and no one else. You see, I took a winding road to law school. I used to be a 3rd party logistics broker. Having started as an intern, working my way up the ladder, I enjoyed the benefits of a lax schedule and great pay. Thinking I was doing well, taking a break between medical school and undergrad, I spoke to my manager about moving onto my next step. I wanted an M.B.A.
3 weeks later, I quit. I decided it was best to make a difference somewhere else, preferably a locale that didn’t mind my “aggressive” personality. In a 180 degree move, I’d taken a position as a science educator in a Dallas high school. For three years, I taught Anatomy & Physiology. In my time with the district, I also coached a robotics team, several academics teams, and the volleyball and basketball teams. I threw myself into building up my students, molding them into avid learners. My goal was to make a change in their lives, and better the education received by the students on our campus. But, it wasn’t enough. It wasn’t until I started classes and took my first set of exams that I finally understood what everyone meant. I could be a good doctor. I studied hard, I learned the material, I loved my courses and enjoyed science. But I had to work sooooo hard for it to work. Law school is different for me. I love every second of it, even the terrifying and stressful moments (like during a timed exam). It feels right. I chose law school because my path led me there. I witness injustices in both business and education. My life’s purpose is to positively impact every field in which I work. Leave the world a little bit better – my mission. I’ve chosen to take the Patent Bar, so I may continue to use my science expertise. I would like to work in various pro bono areas, to keep me grounded. All the time I spent running away from what others expected, actually brought me back to what they saw me doing. It’s quite funny, when you think about it.